In brief: Why nobody is building Chromebooks with LTE support is anybody's guess. Until they do users can use the Instant Tethering feature in in Chrome OS to use their Android phone as a hotspot. The option was previously only available on Google-made devices, but the company is expanding it to 15 third-party Chromebooks and over 30 new Android phones from various manufacturers. A handy feature of Chrome OS, Instant Tethering allows users to connect to their Android phone and use it as a hotspot right from their Chromebook's desktop. It is convenient because once configured users do not need to take out their phones to fiddle with hotspot settings every time they want to connect. Unfortunately, the feature is only available with select devices — namely Google Chromebooks and Pixel phones, but that is about to change. Google announced on Monday that it would be expanding Instant Tethering to third-party devices. It will be adding compatibility to 31 more Android phones and 15 Chromebook models. Various models of smartphones from makers including HTC, Huawei, LG, Motorola, OnePlus, and Samsung will now include the feature. Chromebooks from Acer, ASUS, Dell, HP, Lenovo, and Samsung will also be able to take advantage of Instant Tethering. 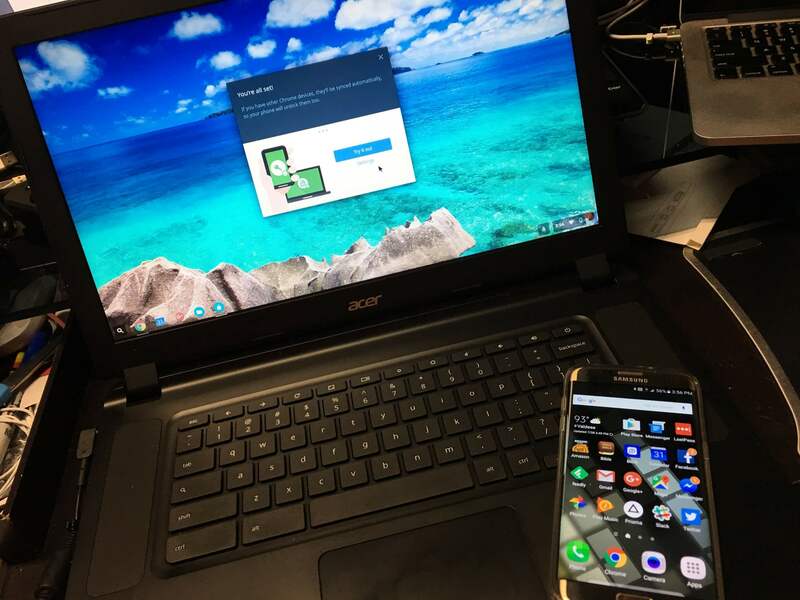 To set this feature up users will have to first pair their Android phone with their Chromebook. Then the option to enable Instant Tethering will appear in the “Connected Devices” category of Settings. Once it is enabled, users will find an option in the “Quick Settings” portion of the Chrome OS desktop that lets them connect to their phone and start using it as a hotspot. Another nice feature of Instant Tethering is that when the Chromebook has been inactive for 10 mins, it automatically disconnects from the hotspot. So there are no worries of background services eating up usage while users are away. For most carriers, tethering is a subscribed option. Users should check with their cellular provider for rates and usage limits.